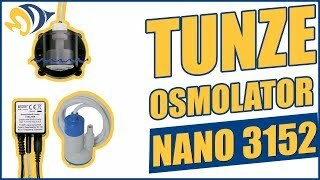 The Tunze Nano Osmolator 3152 is a water level controller with only one sensor, and works great for nano or small aquariums. Includes a metering pump, 3 meters of tubing, magnet holder, power supply, a float switch, protective shield and control unit. For safety purposes, the Osmolator 3152 includes a processor-based anti-overfill system which turns the pump off after five minutes of filling if the level has still not been reached (equal to a pumping of approximately 0.75 gallons). 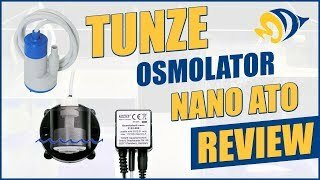 The Tunze Nano Osmolator 3152 was built in Germany and includes a 2-year manufacturer warranty that excludes the float switch—which features a 6-month manufacturer warranty and is user replaceable. 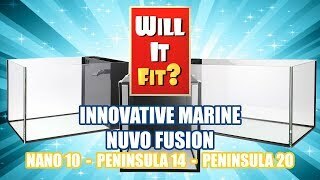 For larger aquariums, check out the Tunze Osmolator Universal 3155. If you need a container to hold your top off water, the Tunze Osmolator Storage Container 5002.25 is an ideal choice. Good cost alternative for a smaller tank! I bought this for my Biocube 32; install was simple, sensor in the third chamber seems to work well. No problems, will update if I have any issues. After lost all my stock due to an ATO failure while I was off state, I get this ATO, it deserve every penny. The only hassle are the instructions. But with YouTube videos I started the system. Works perfect, no failures, highly recommended. Great Product for it's purpose! pump noise level (not the quietest of pumps). If used in a quiet location, the pump can be startling when it kicks on. Best ATO I've tried for systems under 100G. See "Cons" for reason for 4 star rating. I haven't tried any similar products that deserve a 4 or 5 star ratings (excludes ATOs integrated into expensive Aquarium Controller Systems. Tunze ATO Nano- Great Customer Support! I contacted the Tunze after my warranty expired stating the pump would only work for 2 seconds then auto turn off. Roger from customer support was very helpful. In less than a week, Tunze diagnosed the controller board, and reprogrammed pump cut off from 800mA to 900mA. I purchased this back in 2016 for my reef tank. No more lifting top-off water into the tank. I work alot and this is very handy for me. Tunze, stand by their product. I reach out to them after warranty expired in 2018. I sent it back to the company to see what's wrong as the pump shut off after 2 seconds. They took the time and reprogram the controller board since it it was set to cut off at 800mA instead of 900mA. Great Service!!! I've bought this pump back in 2016. Keeps the tank full and has fail safe float switch. Product is still going strong after several years of being used, great product from Germany.